I started learning Latin in seventh grade because I decided it was the most difficult course I could take, and I had something to prove. I was an economically disadvantaged student in a wealthy private school, and all of my classmates knew it. I would never live in their mansions, or wear their expensive clothes, or go on their exotic vacations, so I set about making myself at least academically equal. Like most grade school students who read Latin, the poetry of Catullus was some of the first “real” literature I encountered. After the dry, contrived passages in my textbooks, the sensuous love poems and harsh invectives were a welcome change of pace. 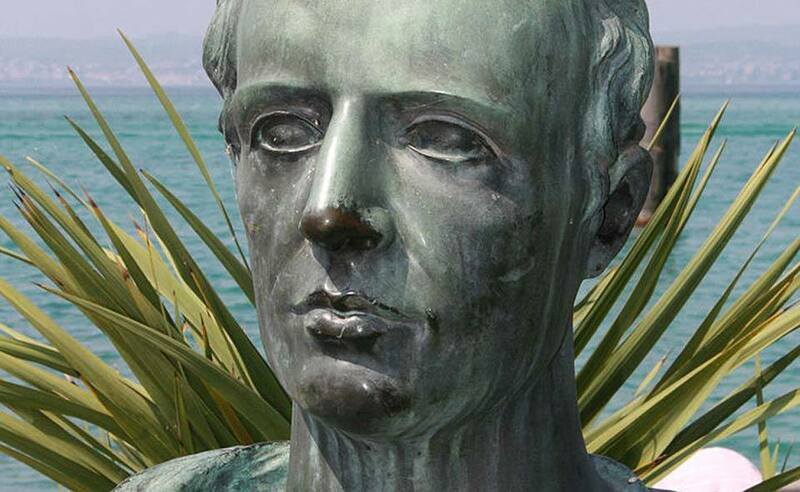 Catullus’ writing is the rare combination of accessible and beautiful — a perfect entry to Latin poetry. I did not love Latin before Catullus. I was proud of my success with learning the language, and I dutifully memorized decks of vocabulary cards and recited declensions, but I worked through it without any real joy. Then, in tenth grade, Catullus’ mini-epic poem 64 seduced me and I never recovered. Catullus uses gorgeous, rich language, stunning imagery, and brilliant humor in all of his poetry, but these were not what initially hooked me. No, I fell in love with, of all things, his grammar, and at the same time Latin as a language. In poem 64, Catullus frequently employs what is called “the golden line,” a five word line usually arranged as adjective adjective verb noun noun. Writers in English cannot do this as our word order is too rigid. The precision of Latin grammar is what allowed him to use this rhetorical device and add another layer of nuance to his poetry. Latin writers were freed by the rules and structure of their language. My life at the time was chaotic. I was still at the private school, shunned by my classmates. My home life was in turmoil. I had moved twelve times by then. With those golden lines, I was overwhelmed by the beauty of the structure of Latin. The order both comforted and dazzled me. Latin stopped being a course in which I could prove myself and started being a passion. After Catullus, I devoured Horace, Ovid, and Virgil in high school, and went on to get my B.A. in Classics. Five words changed the course of my entire life. First century Latin poetry may seem like an esoteric subject, especially one far removed from the concerns of a teenage girl in late 20th century America, but my exposure to Catullus and a learned appreciation for the elegance and beauty of Latin poetic grammar helped forge my life’s path — through college and into my career as a research librarian. Experiencing the power and nuance of expression created through word transpositions in Latin grammar also opened my mind to the possibilities inherent in other languages and cultures, ideas and realms of feeling that were not only new and exciting — but that were nearly impossible to approximate in any other way.